As lead creative for the region, he is further evolving FITCH’s branding and digital capabilities to complement their existing award-winning retail and architectural studios. 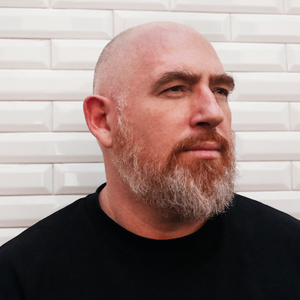 Lennox has spent most of his career at FITCH, joining 20 years ago as a junior environmental designer in London and rising to Executive Creative Director for EMEA in 2014. Since then, he has led the region to Cannes Lions and World Retail Award wins. He has extensive experience in both strategic and creative assignments for a wide variety of clients including adidas, Miele, McLaren, Nespresso, and Enterprise. FITCH is the world’s leading brand and retail consultancy. Designing the Future - online, offline and in-person. We don’t predict the future, we influence it and we design it, whenever and wherever your customer meets your brand.